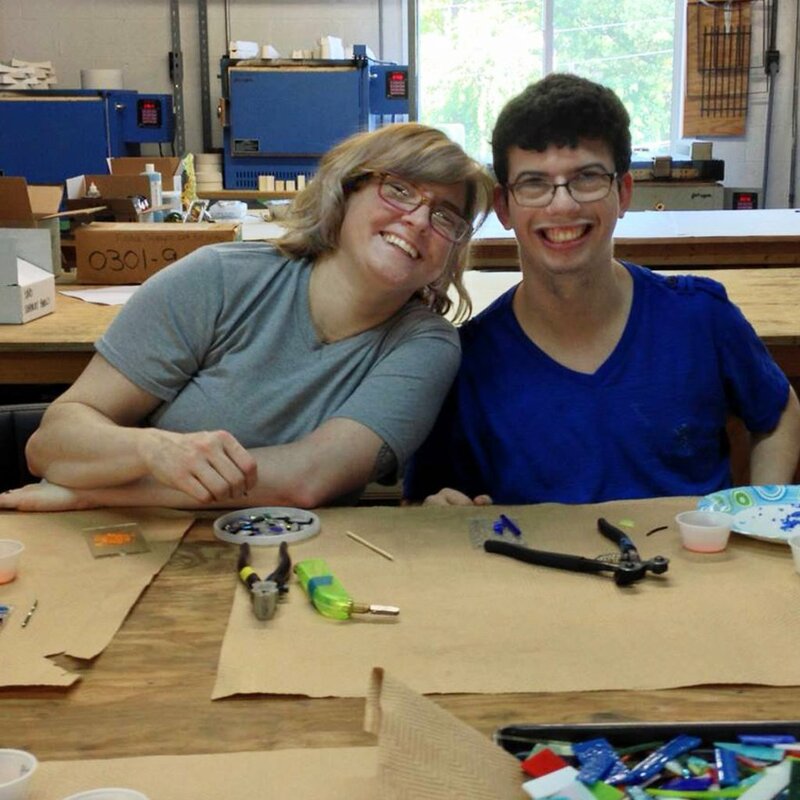 The experienced, knowledgable staff at Weisser Glass Studio is always happy to answer your questions. We strive to be the best in the business, and offer top-notch service and advice. If you don't know, just ask us! 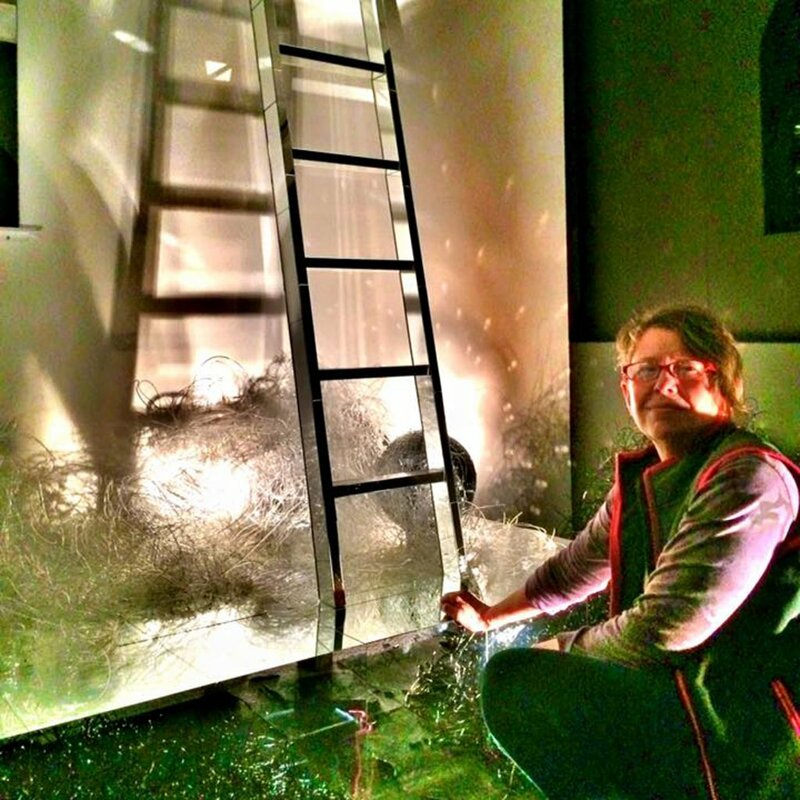 Nancy Weisser has been working with glass for nearly 40 years. She owned and operated a home based stained glass commission business for 12 years before opening the store location in Kensington in 1993. In 1985 her interest in glass turned to a new and emerging art form - kiln formed glass, a broad group of techniques that includes fusing, slumping and casting. 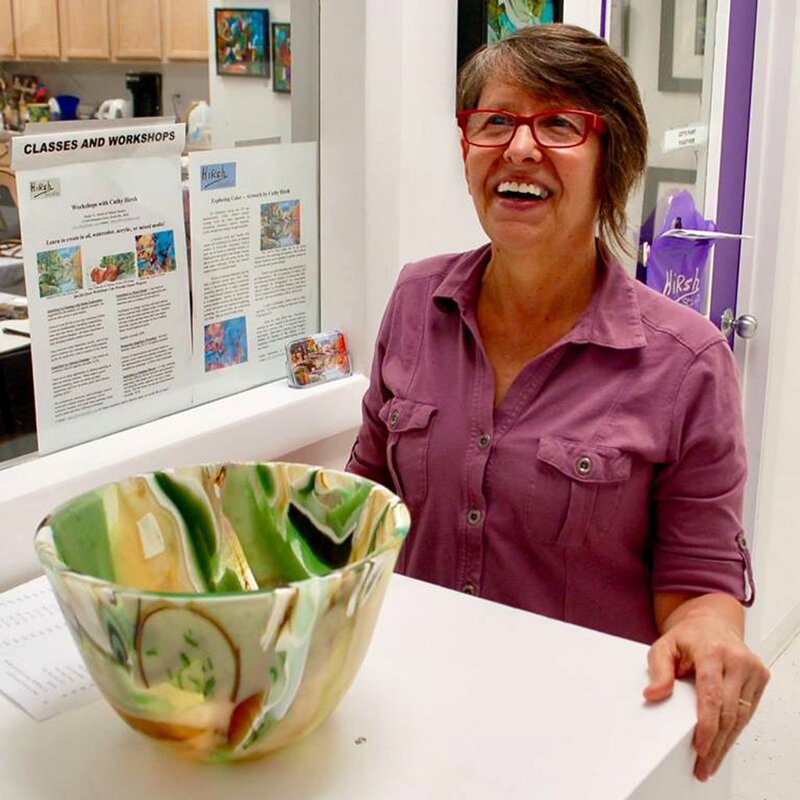 Nancy has trained with many renowned glass artists over the years, and has been teaching the art of glass for nearly thirty years. 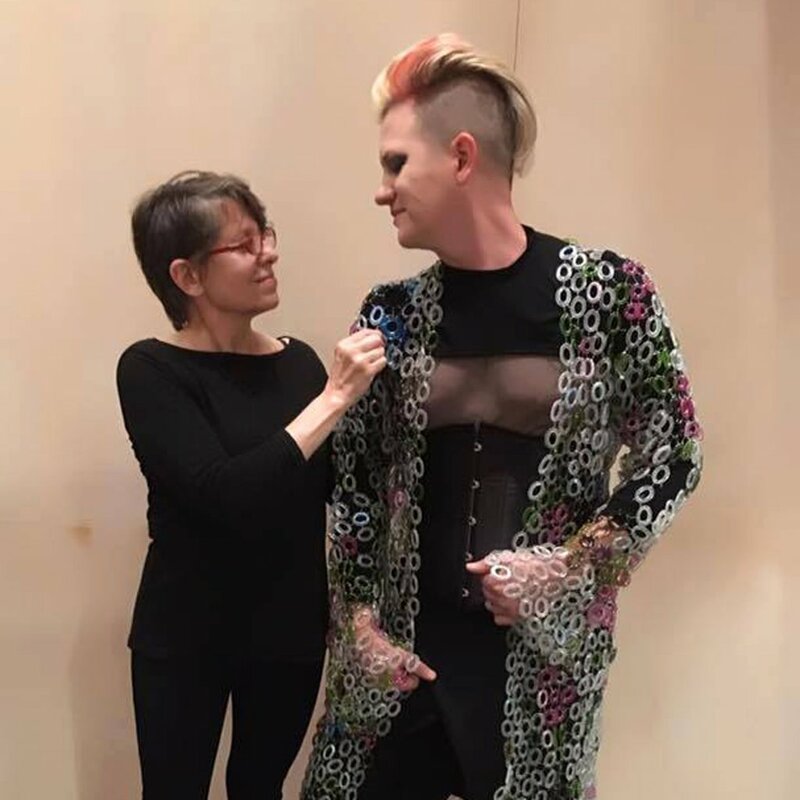 Even though she stays busy with running the store and an intense teaching schedule she continues to create, unique and exciting works of art in glass. Learn more about Nancy the artist and view her extensive portfolio by visiting her website, nancyweisser.com. 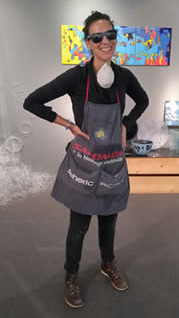 Sharon graduated from the School of the Museum of Fine Arts in Boston, where she was first introduced to glass as an art medium. “I have always been intrigued by the way light interacts with the raw material and the unique effects this produces". 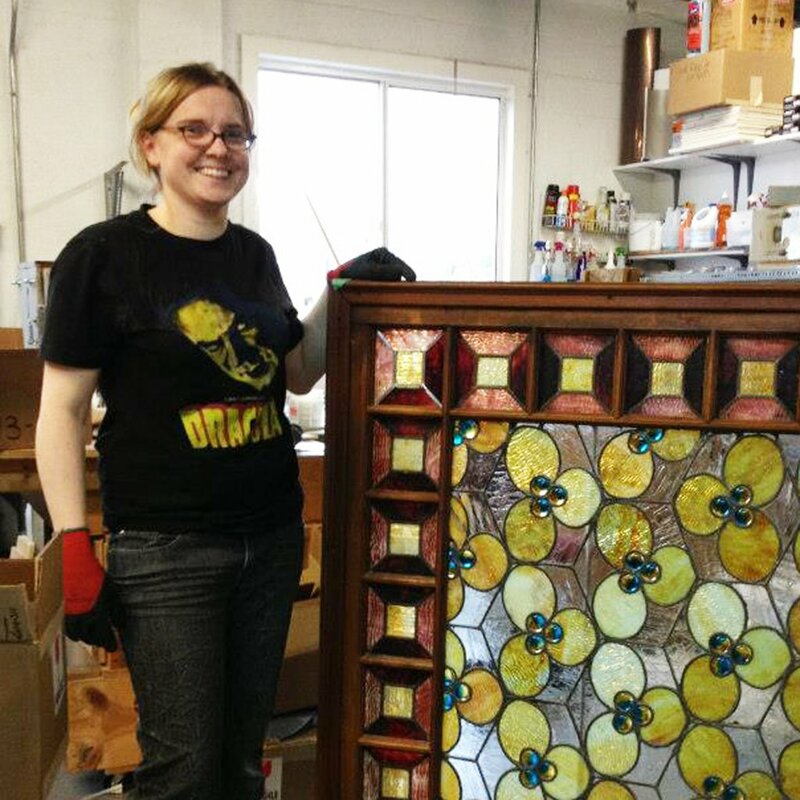 Sharon has extensive experience in many areas of glass, including stained glass, kiln-formed glass, and mosaic, and enjoys combining the different techniques in her work. Her work has been displayed in both galleries and private collections. 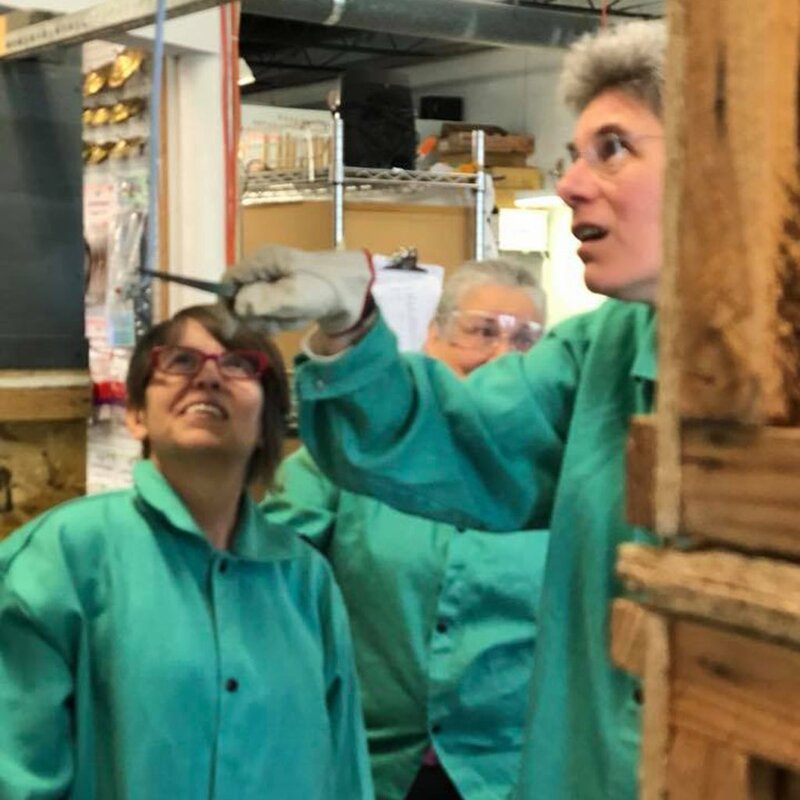 “I always enjoy teaching and sharing my knowledge with my students, and introducing them to the art that I love!” As studio manager for the past twenty years, she has been completely involved day to day operations of Weisser Glass. 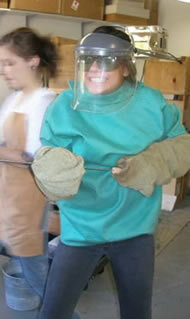 Rachel has been working at Weisser Glass Studio since 2010. 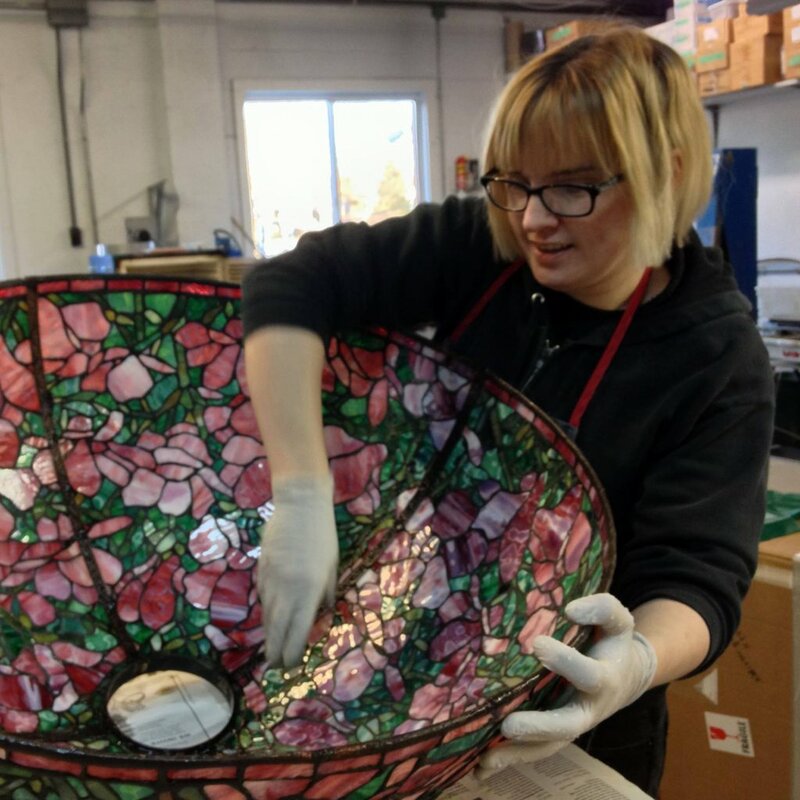 Her interest and skill in glass art has expanded exponentially during that time period, and she now is well versed in a variety of techniques. She manages the sales floor and knows all our products inside and out. She also excels at finding Nancy's keys at the end of the day. Colleen is our newest employee, with us since October 2016. She comes from an art background, and has experience with beading, glassblowing, precious metal clay, and more. 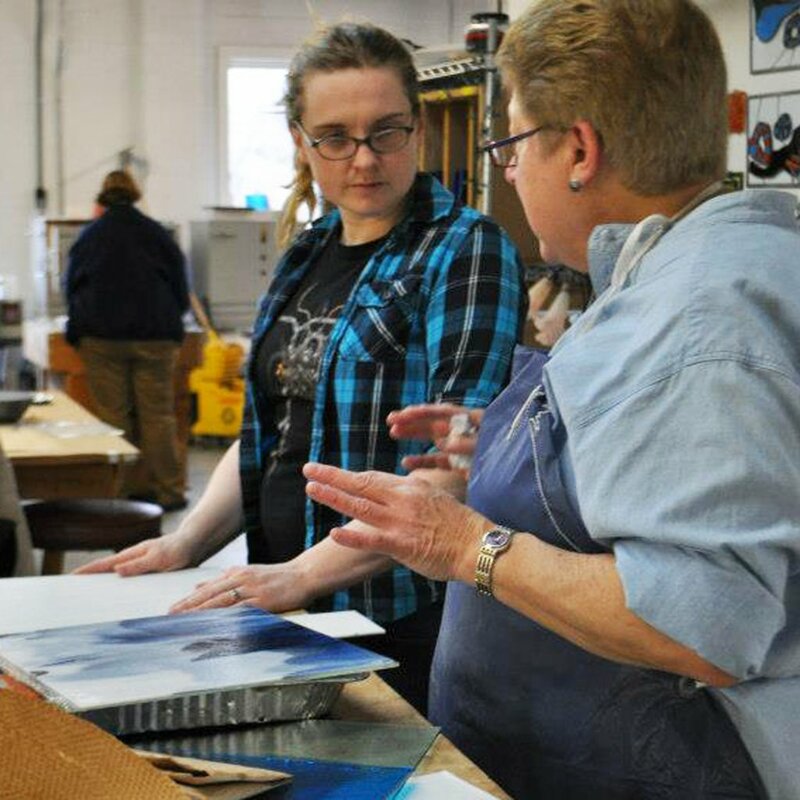 She is the go-to repairs assistant in the Weisser Studio, and the regular teaching assistant for our Paperweights and Making Canes classes.